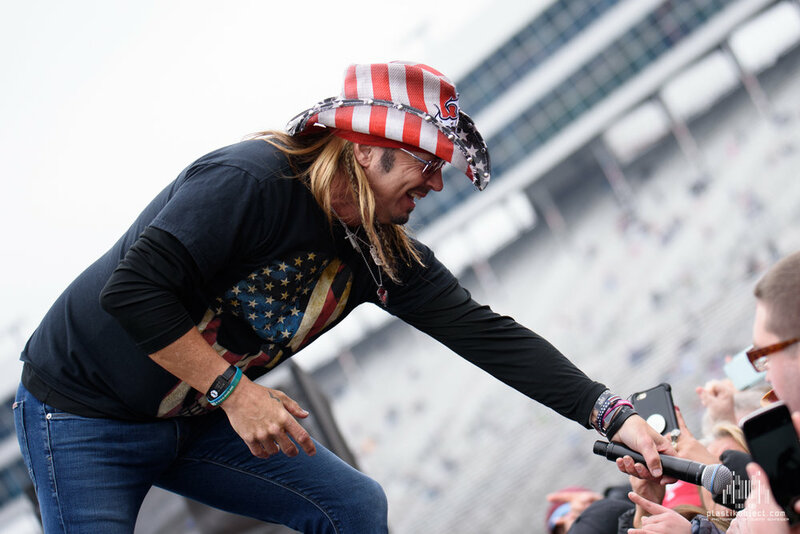 Multi-platinum rocker Bret Michaels kicked the O’Reilly Auto Parts 500 into high gear when he, along with his band, headlined the Loud & Proud Pre-Race Show Powered by Ashley HomeStores. Bret was the former lead singer of Poison and a staple of the 80’s LA Sunset scene, now he’s on the road with his “Party Starts Now” solo tour. 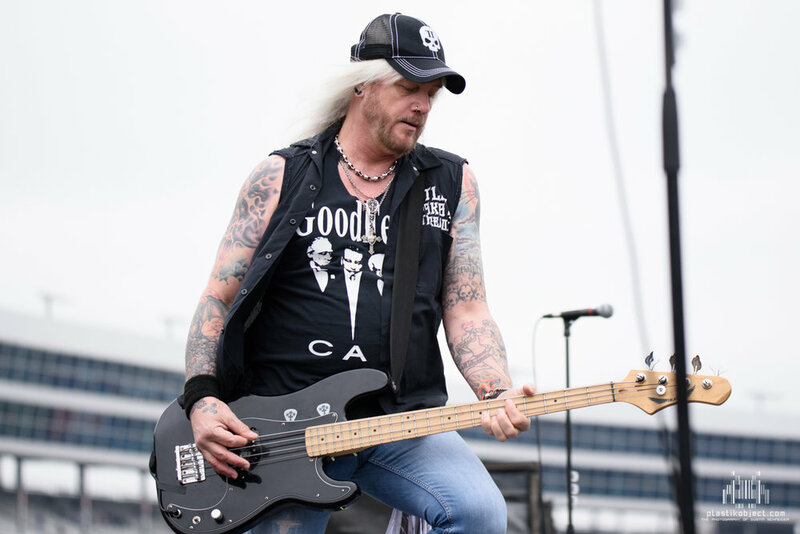 He’s backed by the appropriately named Bret Michaels Band that includes Shawn Hugues on drums, former Cinderella bassist Eric Brittingham, and Jamie Laritz on guitar. 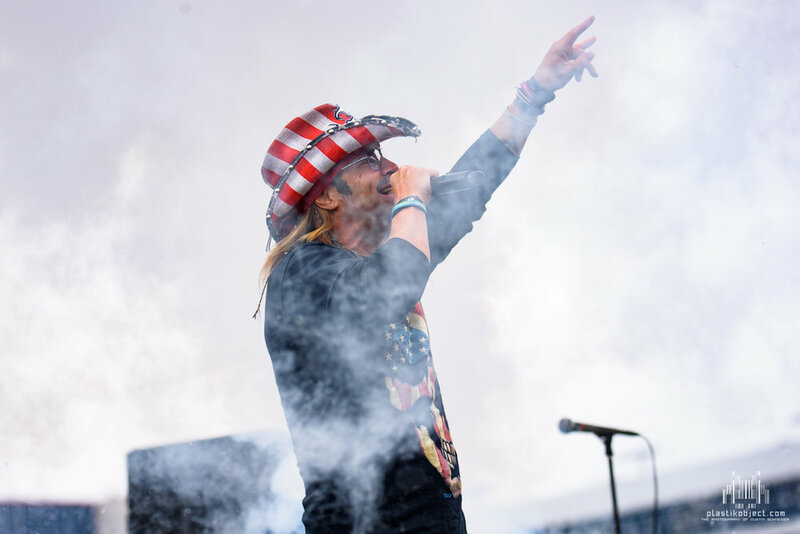 The set consisted of Poison classics like “Talk Dirty To Me”, “Your Mama Don’t Dance”, “Every Rose Has It’s Thorn”, and “Nothin But A Good Time” as well as covers of “Sweet Home Alabama” and the Sublime classic “What I Got”.